The Obama-Netanyahu-Abbas meetings in May, followed by Obama’s speech in Cairo, have been widely interpreted as a turning point in US Middle East policy, leading to consternation in some quarters, exuberance in others. Fairly typical is Middle East analyst Dan Fromkin of the Washington Post, who sees “signs Obama will promote a new regional peace initiative for the Middle East, much like the one championed by Jordan’s King Abdullah… [and also] the first distinct signs that Obama is willing to play hardball with Israel.” WP, May 29. A closer look, however, suggests considerable caution. King Abdullah insists that “There is no change to the Arab Peace Initiative, and there is no need to amend it. Any talk about amending it, is baseless” AFP, May 16. Abbas, regularly described as the president of the Palestinian Authority his term expired in January, firmly agrees. The Arab Peace Initiative reiterates the long-standing international consensus that Israel must withdraw to the international border, perhaps with “minor and mutual adjustments,” to adopt official US terminology before it departed sharply from world opinion in 1971, endorsing Israel’s rejection of peace with Egypt in favor of settlement expansion in the northeast Sinai. Furthermore, the consensus calls for a Palestinian state to be established in Gaza and the West Bank after Israel’s withdrawal. The Arab Initiative adds that the Arab states should then normalize relations with Israel. 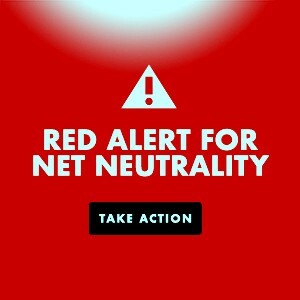 via ZNet – Turning Point? 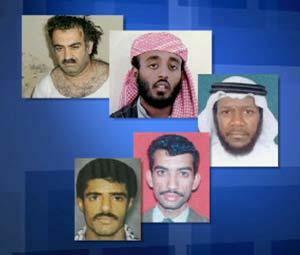 The five alleged co-conspirators in the 9/11 attacks. From the top: Khalid Sheikh Mohammed (KSM), Ramzi bin al-Shibh, Mustafa al-Hawsawi, Ali Abdul Aziz Ali and Walid bin Attash. With the government-mandated bankruptcy of one of the largest, longest-lived, and, until recently, most profitable manufacturers in the world, the takeover of the U.S. economy by the same East Coast forces that destroyed it is now complete. The speed with which GM spiraled into insolvency was breath taking. Less than 18 months ago, just as the horrifying effects of Wall Street’s malfeasance were becoming clear, GM was profitably selling SUVs, making money for its shareholders and paying big ticket CEOs far more than they were worth, just like Wall Street. Suddenly the rules changed. In a spectacular reversal, GM was deceptively accused of failing to sell what consumers wanted to buy, of being out of touch and out of date, of having too many built in personnel costs which made them unable to compete with foreign auto makers whose short history in the U.S. left them free of pension liabilities. A French union has called on Air France pilots to refrain from flying amid fresh reports on the number of fatalities found from the doomed flight 447. An unnamed authority with the Alter union said on Monday that there exists a “strong presumption” amongst aviators that a glitch in the craft’s external speed device, alias Pitot, contributed to the plane crash.